Back in December, we reported that the 1986 classic Willow will make its Blu-ray debut on March 12. Today, Fox Home Entertainment announced that director Ron Howard (@RealRonHoward) and star Warwick Davis (@WarwickADavis) will be hosting a Twitter chat on March 12, between 2 PM PST and 2:30 PM PST. Fans can ask their own questions to the filmmaker and actor via their Twitter handles and the hashtag #WillowChat. Take a look at the Willow Blu-ray cover art, then read the official details from the studio. 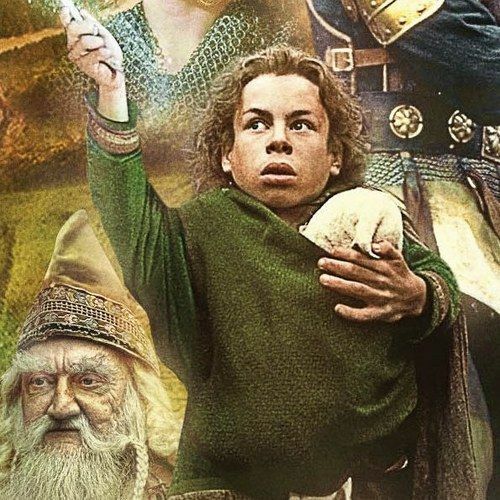 Join director Ron Howard and star Warwick Davis for an exclusive Artist to Artist Twitter chat in celebration of the 25th anniversary of Willow! Fans can even join in the conversation by tweeting questions using the hashtag #WillowChat. In celebration of its 25th anniversary, the unforgettable classic, Willow, has been fully digitally restored and debuts on Blu-ray/DVD Combo Pack March 12, 2013 from Lucasfilm Ltd. and Twentieth Century Fox Home Entertainment.